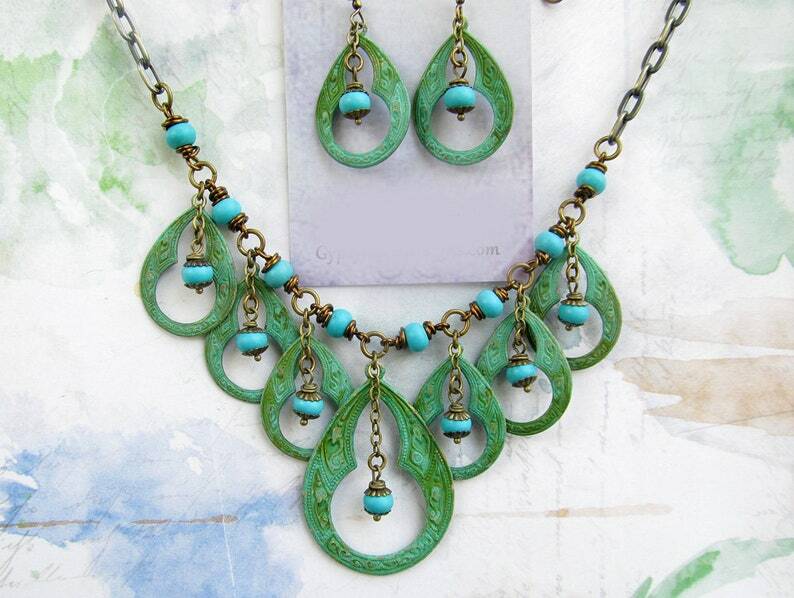 Make a statement with this Verdigris Patina and turquoise necklace! 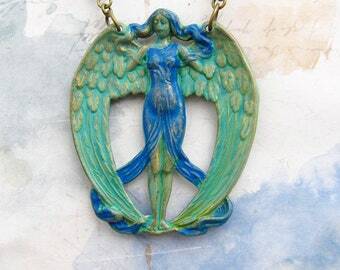 I gave made in the USA brass charms a Verdigris Patina finish. I love the keyhole opening and curves of this brass charm...one of my favorites! 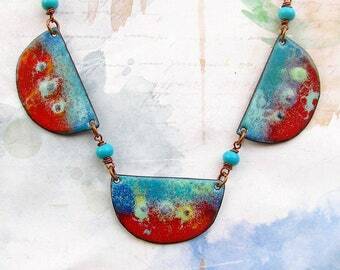 Stones of Howlite are dyed turquoise. I dangled them from delicate chain in between each keyhole. You choose...necklace only or with matching earrings. Earrings are 1 1/2 inches long and 3.4 inches wide. Nickle free brass ear wires. You will receive your necklace set in a pretty gift box via First Class mail.